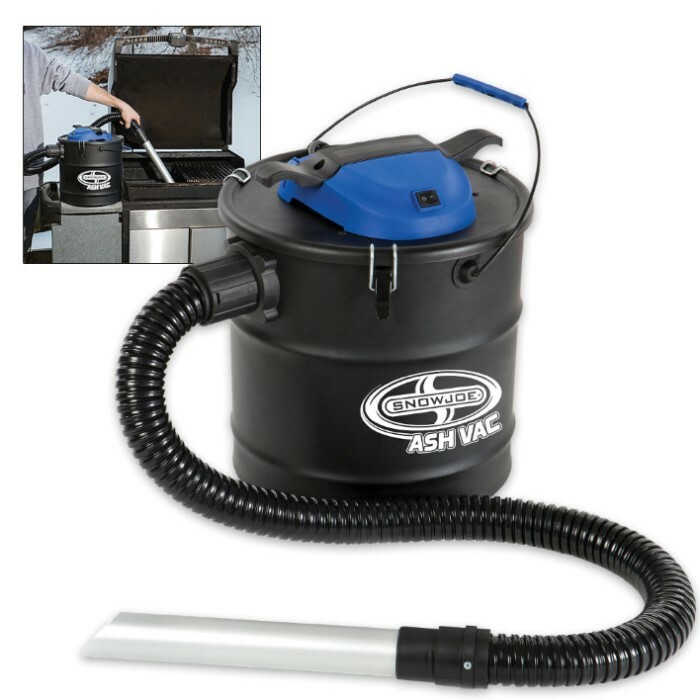 Snow Joe Electric Ash Vacuum - 4.8 Gallon | BUDK.com - Knives & Swords At The Lowest Prices! No more dusty mess around your home! 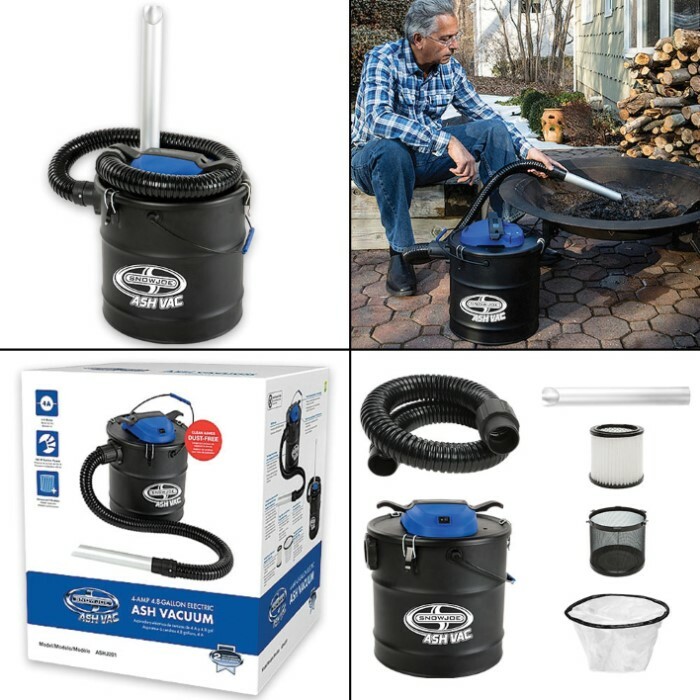 The Snow Joe 4.8-gallon Electric Ash Vacuum is designed for cold ash pickup from wood stoves, pellet stoves, fireplaces, fire-pits, and BBQ grills. Equipped with a dual filtration system that employs both a coarse-dust pre-filter and a fine-dust pleated filter, it effectively traps dust particles during the ash cleaning process and prevents them from escaping into your breathing space. The extra-large metal canister stores up to 4.8 gallons of ashes, so you can finish your task without stopping to empty the container. Plus, it’s a self-contained, bag-free system, which allows for easy ash removal with a simple lift of the container lid. 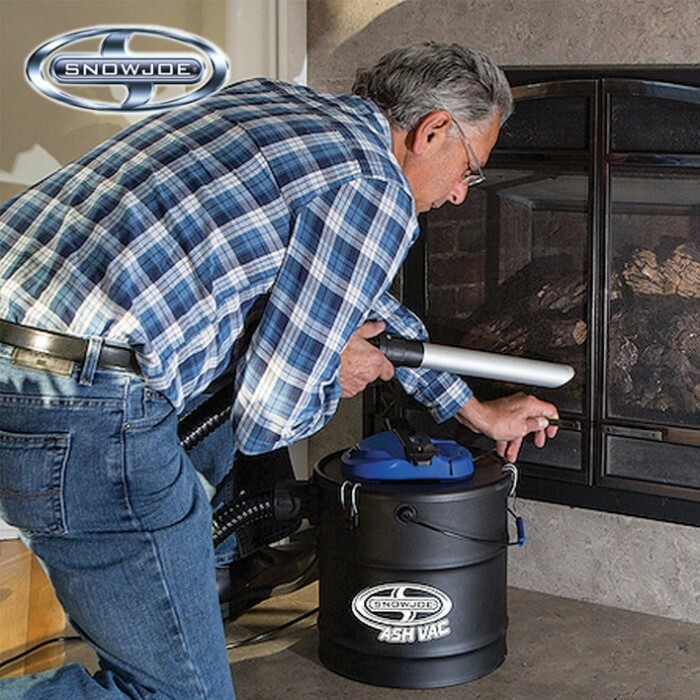 It has a powerful 4-amp motor that generates up to 500 W of suction power and 42.4 cubic feet per minute of air flow. Other features include a safety stop switch to prevent the Ash Vacuum from operating without a properly fitted filter and a wire filter basket to protect the fine dust filter. It also features an easy carry handle, an inspection window blockage indicator, and an onboard cord/hose organizer for convenient storage.